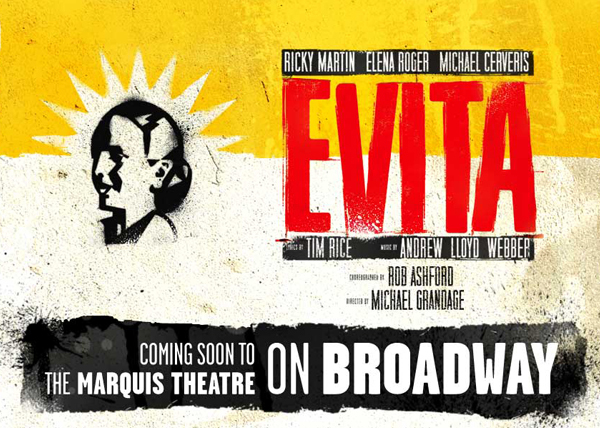 The box office opened today for the Broadway revival of Tim Rice and Andrew Lloyd Webber’s Evita which begins previews at the Marquis Theatre on March 12th with an official opening on April 5th. The cast will feature Grammy winner Ricky Martin as Che Guevara, Olivier Award winner Elena Roger in her Broadway debut as Eva Perón, Tony Award winner Michael Cerveris as Juan Perón, Max von Essen (Dance of the Vampires, Les Miserables, Jesus Christ Superstar) as Magaldi and Rachel Potter (The Addams Family) as the Mistress. Christina DeCicco (Sister Act) will be the alternate for Eva Perón. They will be joined by Ashley Amber, George Lee Andrews, Wendi Bergamini, Eric L. Christian, Kristine Covillo, Colin Cunliffe, Margot de La Barre, Bradley Dean, Rebecca Eichenberger, Melanie Field, Jennie Ford, Maya Jade Frank, Bahiyah Sayyed Gaines, Constantine Germanacos, Laurel Harris, Nick Kenkel, Brad Little, Erica Mansfield, Emily Mechler, Isabela Moner, Sydney Morton, Jessica Lea Patty, Aleks Pevec, Kristie Dale Sanders, Timothy Shew, Michaeljon Slinger, Johnny Stellard, Alex Michael Stoll, Daniel Torres and Matt Wall. This is the first new Broadway production of the seven-time Tony Award-winning musical since it debuted on Broadway over 30 years ago. 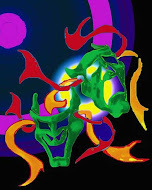 It is directed Tony and Olivier Award winner Michael Grandage with choreography by Tony Award winner Rob Ashford. The revival features songs from the original staging including "Don’t Cry for Me Argentina," "Buenos Aires," "Rainbow High" and "High Flying Adored," as well as "You Must Love Me" which was written for the 1996 film adaptation. Orchestrations are by Andrew Lloyd Webber and David Cullen (Sunset Boulevard) and dance arrangements are by David Chase (Billy Elliot).